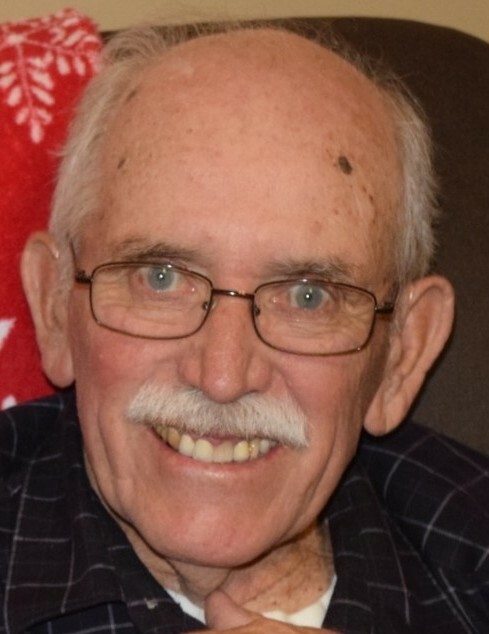 Olin Dean Hatfield, 79, of Hallsville passed away on March 29, 2018 at his home surrounded by family. Funeral services will be held at Bach-Yager Funeral Chapel at Noon, Tuesday, April 3, 2018. The family will receive friends from 10:00 a.m. until time for the service. Entombment will follow the service at Memorial Park Cemetery. Olin was born September 24, 1938, in Green Grove to Clell Olen and Myrtle Winonna Montgomery Hatfield and was raised on a farm near Novinger. On June 12, 1959, he married Ruth Carol Darr in Green Castle by Rev. Clyde Johnson and she preceded him in death on November 16, 2010. He was a member of Columbia United Church of Christ. Olin was employed with UPS as a driver for 31 years before retiring to work with crafts: tole painting, metal smithing, woodworking and gardening. He was a member of many organizations including Midwest Woodworkers Association, Wood Turners Association and BAM (Blacksmiths of America Association). He enjoyed cross country trail riding, farming and spending time with his family, especially his grandchildren. He is survived by his daughters, Janet (Verne) Horne of Hallsville and Julie (Tony) Bolton of Harrisburg; five grandchildren, Tyler (Emily) Horne, Heather (Shane) Parnell, Amber Horne (Jami Thompson), Benjamin Bolton and Bryan Bolton and three great grandchildren, Lillian, Luciana and Tate. . He was also preceded in death by a brother, Loren.